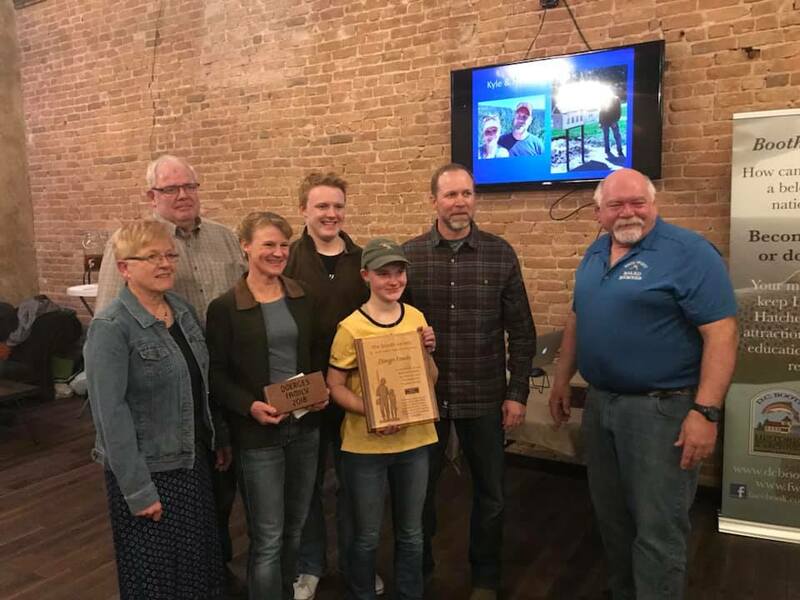 The Booth Society manages visitor services, the volunteer program, educational and outreach programs, coordinates the South Dakota Junior Duck Stamp Program, coordinates special events and community outreach, manages retail sales, advocates for the hatchery, coordinates rentals in Ruby’s Garden, and supports Friends Groups nationally. As a non-profit, citizen-based group, the Society relies on donations, sales, and City subsidy funding to promote, preserve, and enhance the educational, cultural, and recreational opportunities at the D.C. Booth Historic National Fish Hatchery. 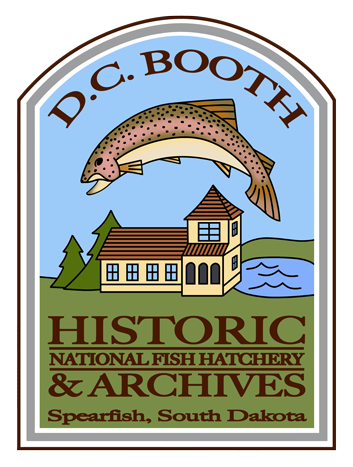 MISSION STATEMENT: Promoting, preserving and enhancing the educational, cultural and recreational opportunities at D.C. Booth Historic National Fish Hatchery & Archives, in cooperation with the U.S. Fish & Wildlife Service, for the benefit and enjoyment of the public. 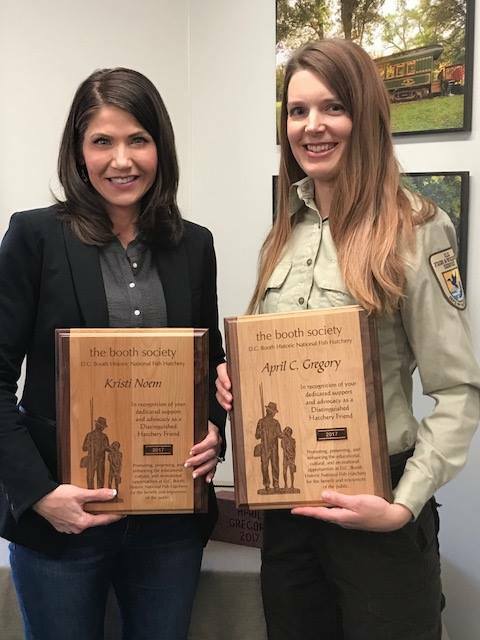 The Booth Society does not own the fish hatchery, the Society serves as a nonprofit friends support group for the hatchery and works closely with the entity that does own the hatchery – the U.S. Fish & Wildlife Service. To learn more about the U.S. Fish & Wildlife Service, CLICK HERE. The Booth Society Inc., is a non-profit, volunteer, public service organization. The mission of the society is to support, enhance, and further the D.C. Booth Historic National Fish Hatchery & Archives public programs. The Society functions and grows, providing support because of exceptional and exemplary service and actions by individuals, groups of people, an dother entities. Because of these special acts and special services, the society has established a special Hatchery Friends Brickwalk. Leadership – Must have provided excellent leadership in motivating, organizing, and furthering the objectives of the Booth Society Inc., and the D.C. Booth Hatchery. Support – Must have either visibly or behind the scenes provided special extra ordinary support the Booth Society Inc., and the D.C. Booth Hatchery. Direction – Must have provided special guidance, counsel or advice to the Booth Society Inc., helping the Society to maintain a clear focus and direction. Cooperation – Must have given exceptional cooperation or been an exceptional cooperator in futhering the goals and objectives of the Booth Society Inc., and teh DC Booth Hatchery. Program Support – Must have provided extra program support through personal time, services, maintenance, volunteerism, construction, etc. Contributions – Must have provided exceptional contributions of time, financial support, materials, or other resources. Those individuals selected from either one or a combination of categories will be selected by the committee and approved by the Booth Society Inc., Board with concurrence of the D.C. Booth Hatchery Director. 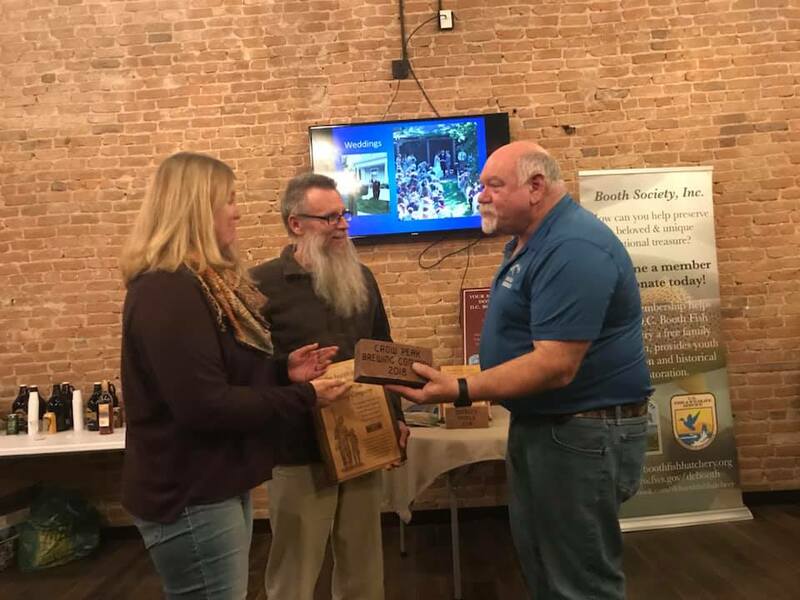 The selectees will have a recogniction brick permanently placed into the Brickwalk on the grounds of the D.C. Booth Hatchery and will receive a plague highlighting their recognition.